A quick puzzle to keep things ticking over before the imminent return of the Mad Hatter. This one dates back to my sixth form education, when a student from the year above, who had recently started at Cambridge, came back to talk to us about university mathematics (thank you Jonathan Deakin). It may even have come from his interview. The puzzle itself does not require any particularly difficult maths though, and, while it is ideal for sixth form students (16-18), it would also be appropriate for top end GCSE (14-16) and even KS3 (11-14). In fact, I have found it to be quite taxing for trainee maths teachers too! The puzzle illustrates some interesting concepts, which I will discuss when I put up the solution. Puzzle: Click the image to enlarge. 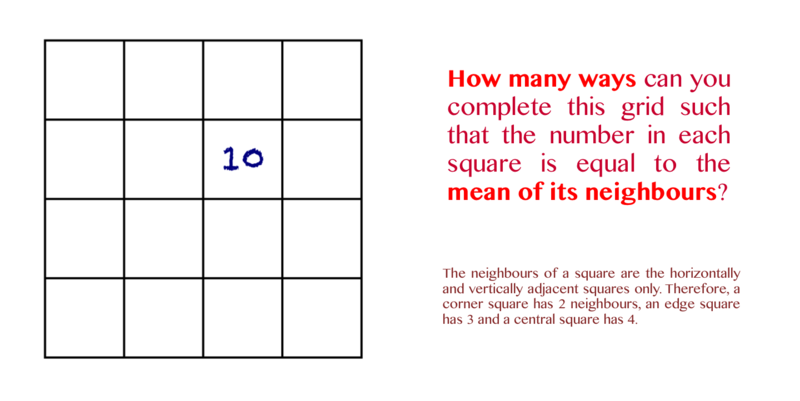 For another puzzle suitable for maths learners, try THIS ONE. There is also a mini-puzzle at the bottom of THIS POST that is still waiting for a solution. That one is a little more robustly mathematical, though still not monstrously tough.